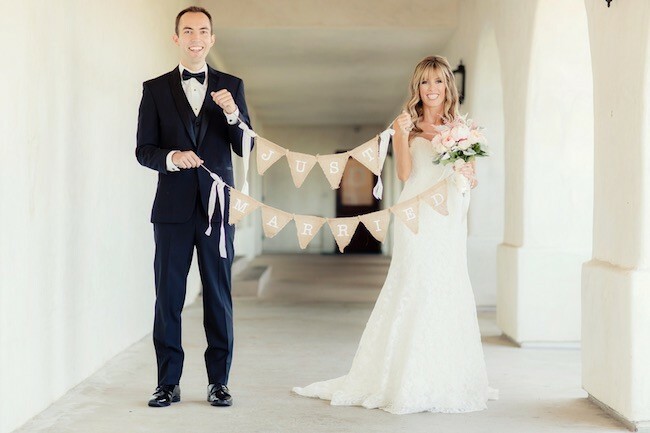 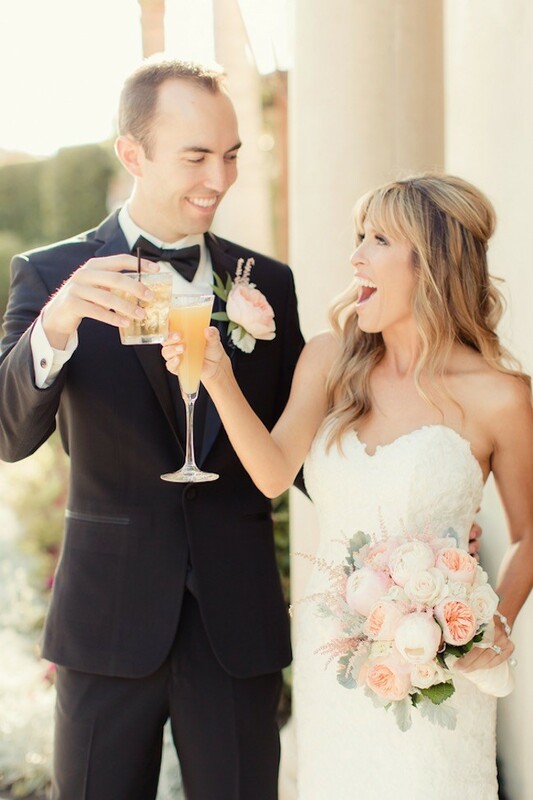 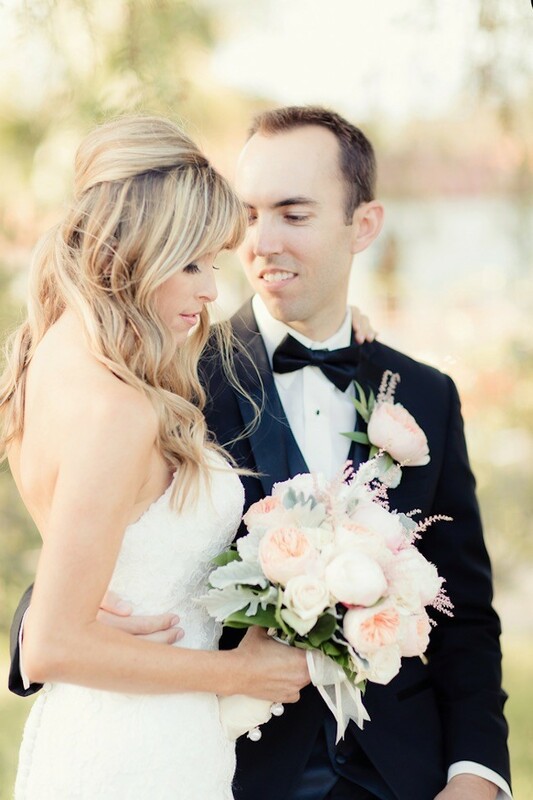 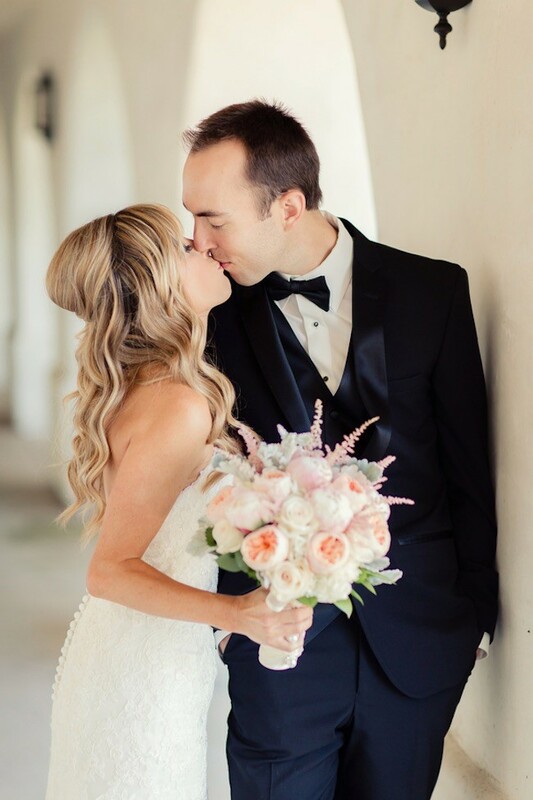 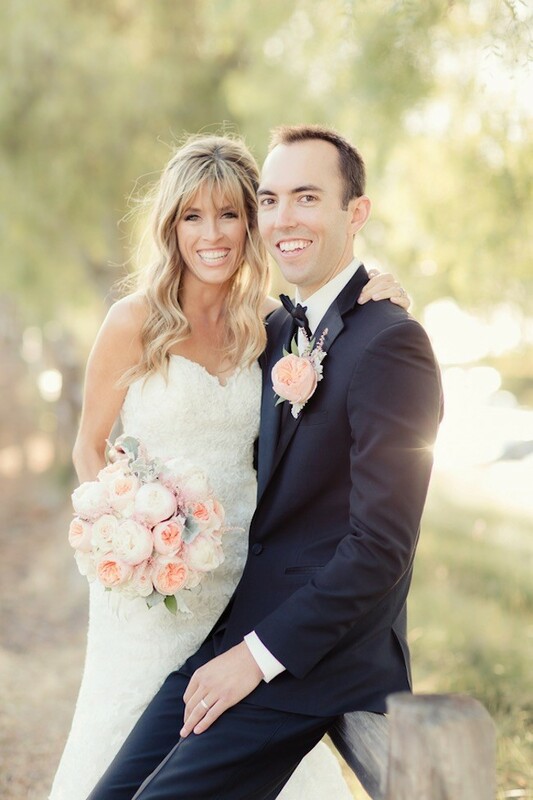 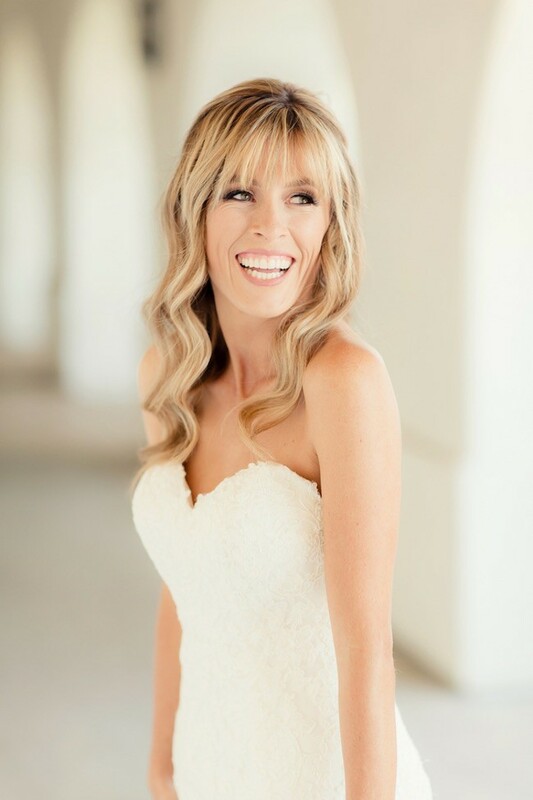 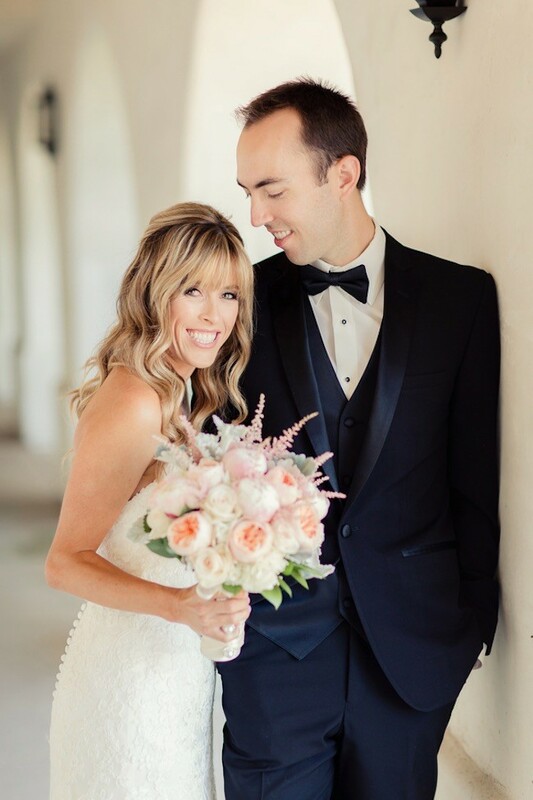 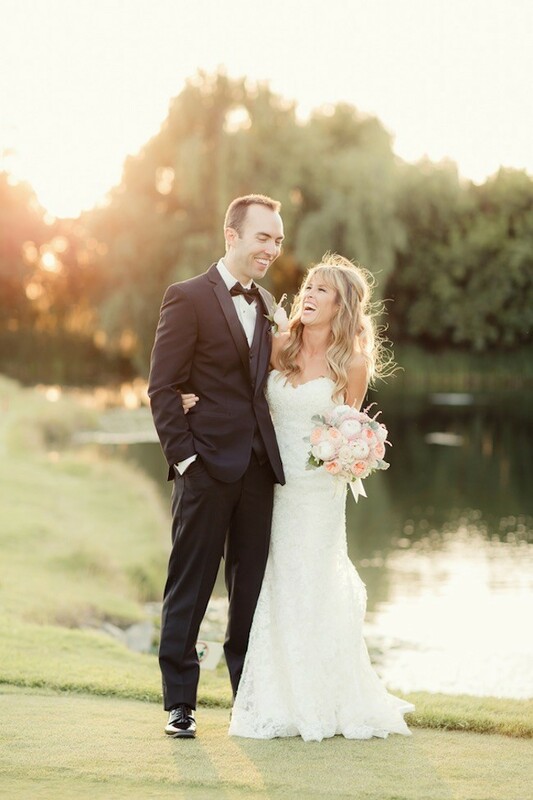 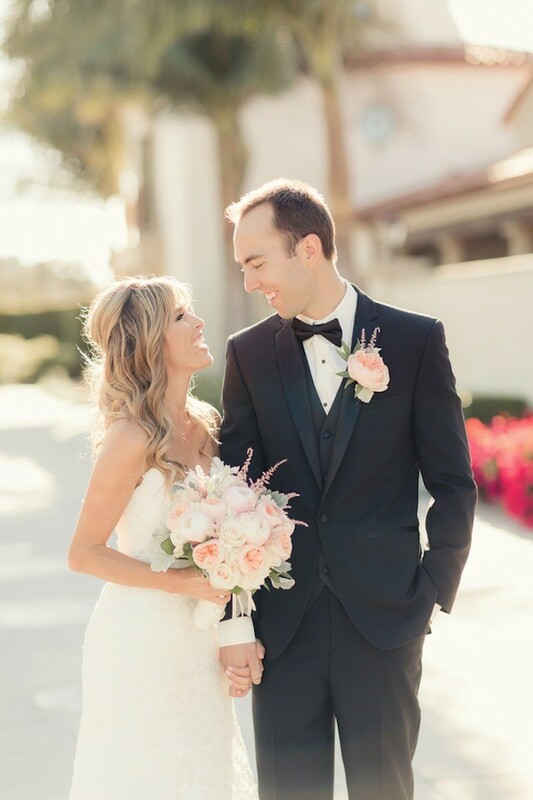 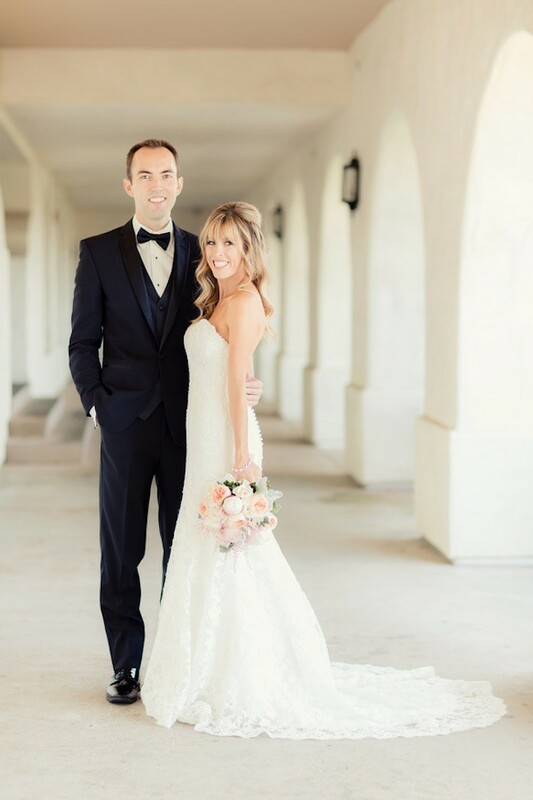 Beautiful bride Alyse and her handsome groom John both grew up by the beach, so it was important to them that they incorporate elements of typical summer, beachy feeling into their California wedding celebrations. 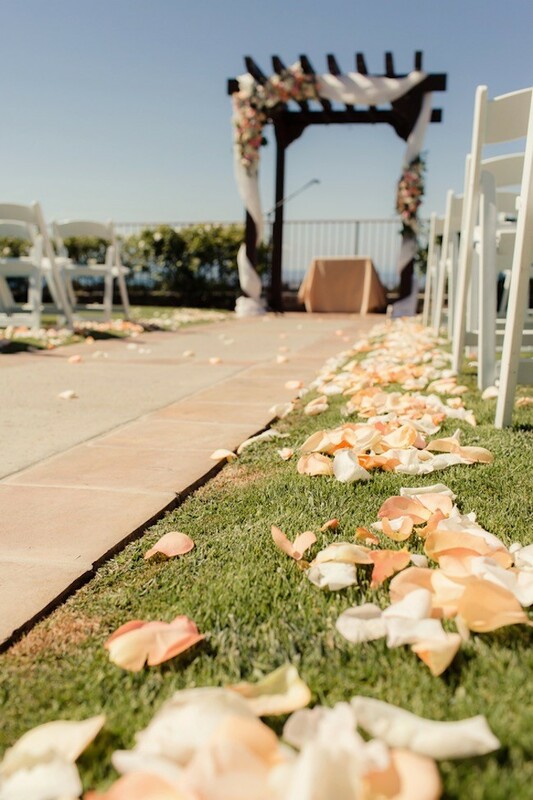 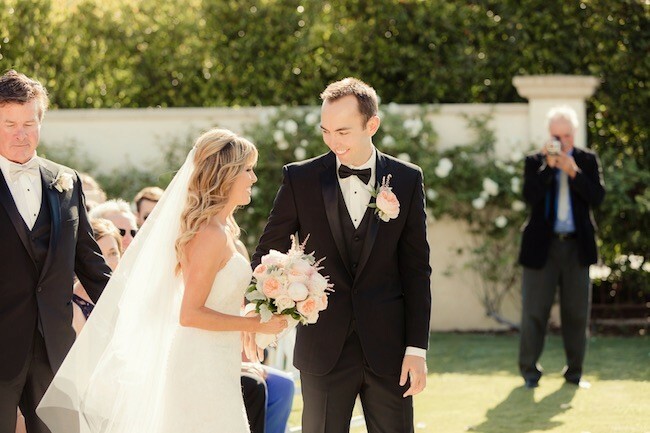 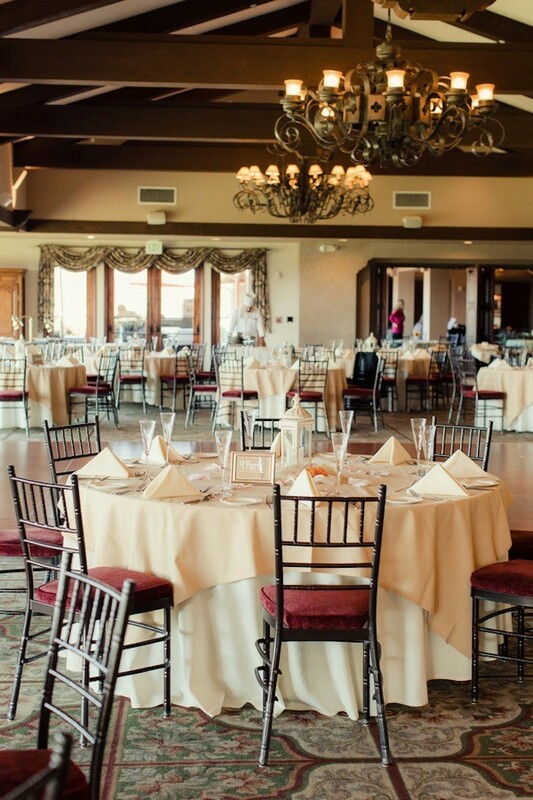 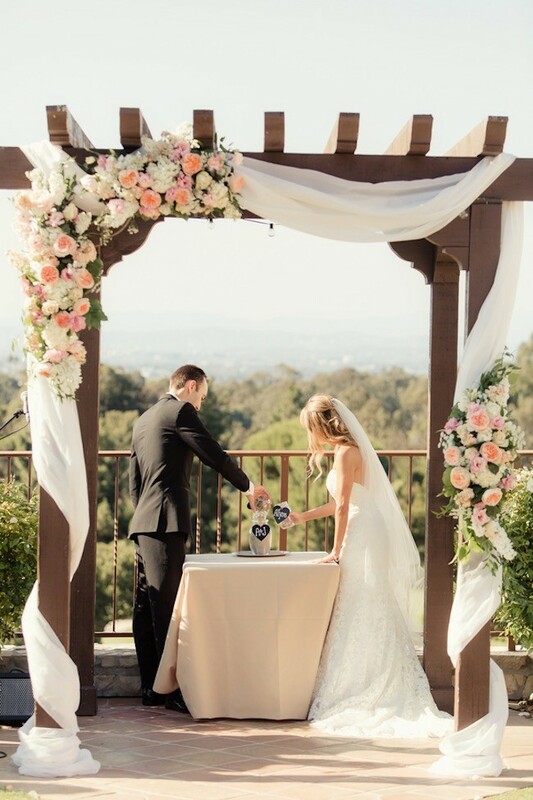 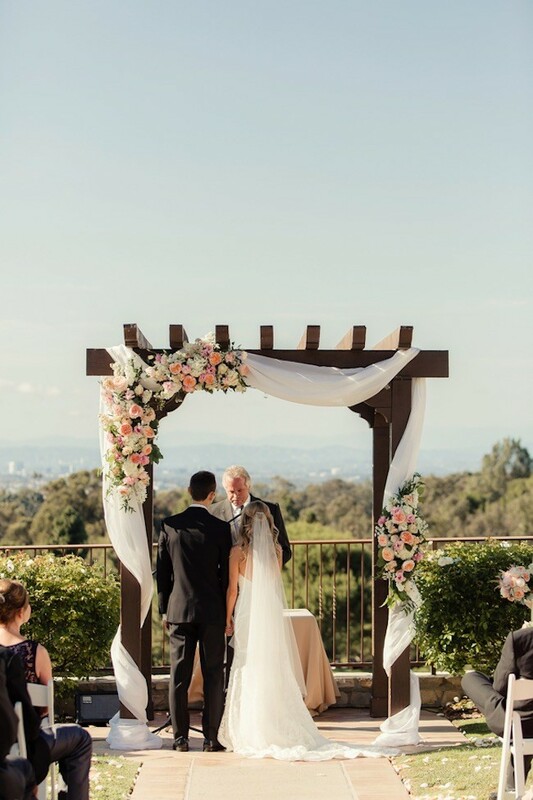 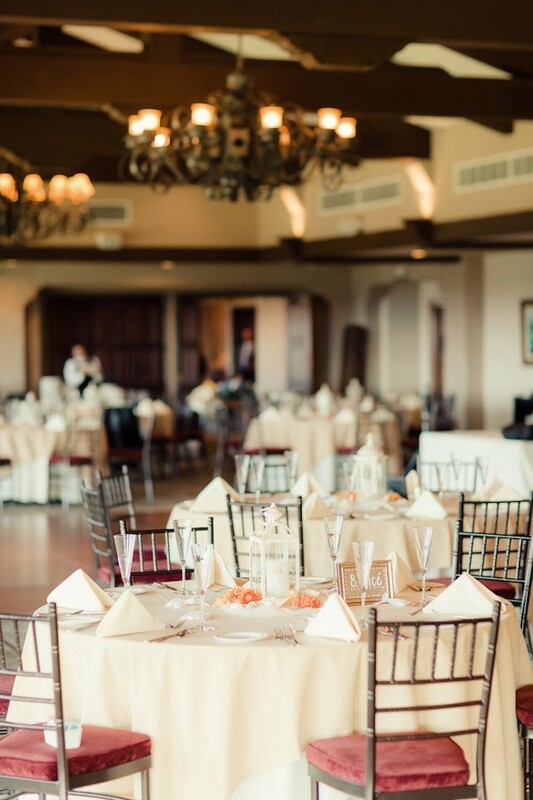 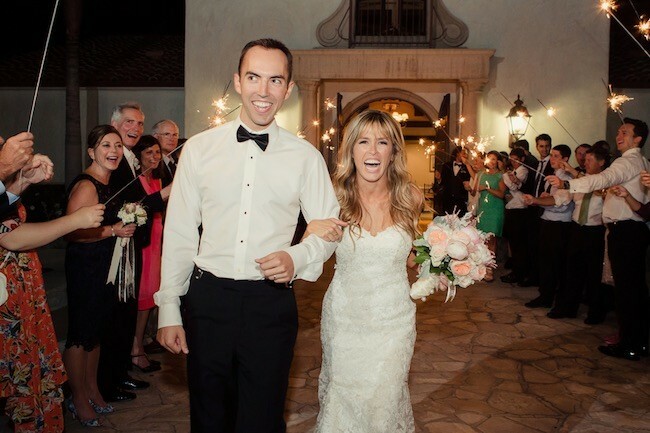 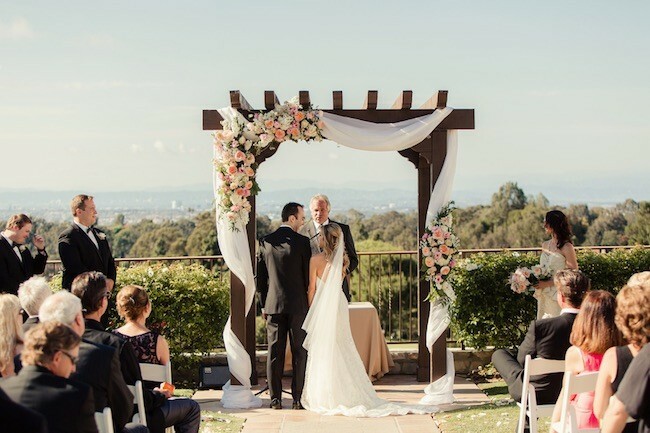 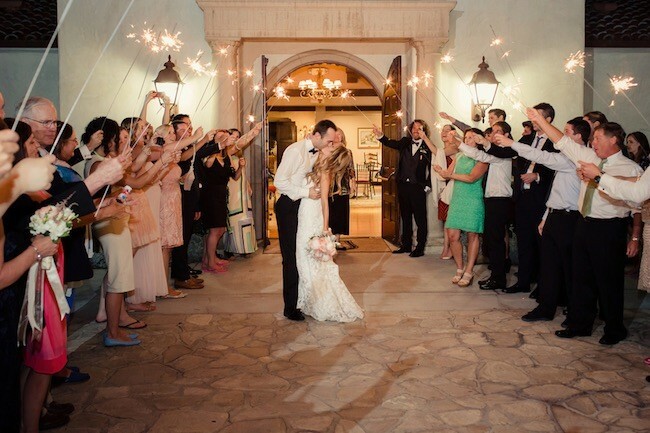 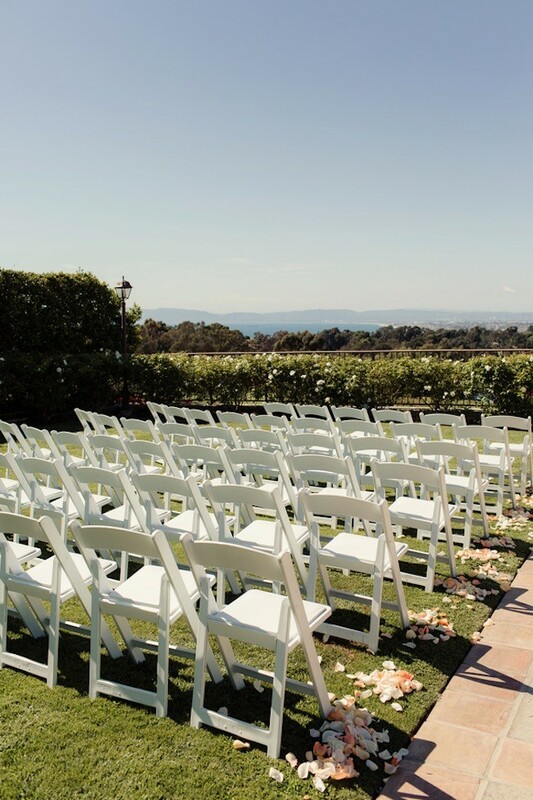 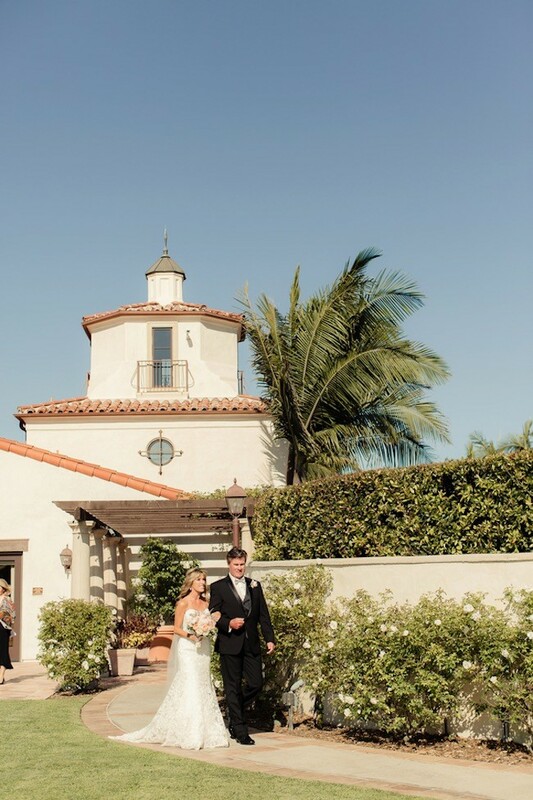 They exchanged vows at the picture perfect Palos Verdes Golf Club, with a breathtaking view. 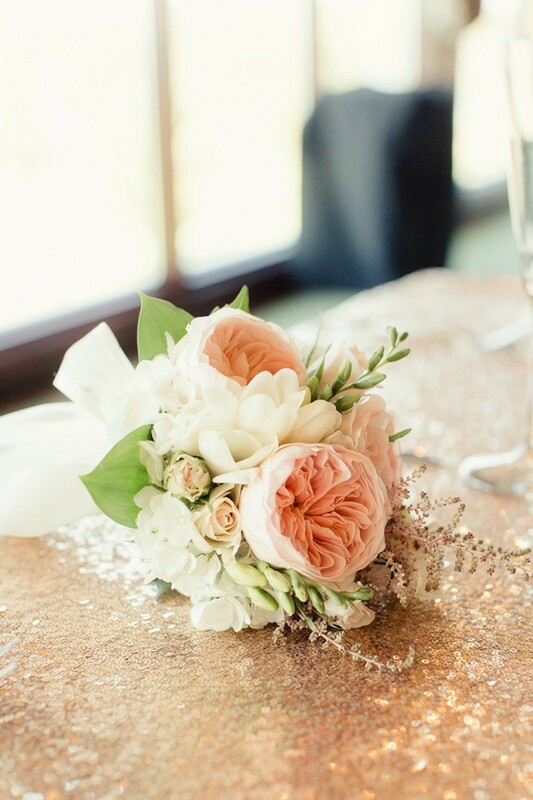 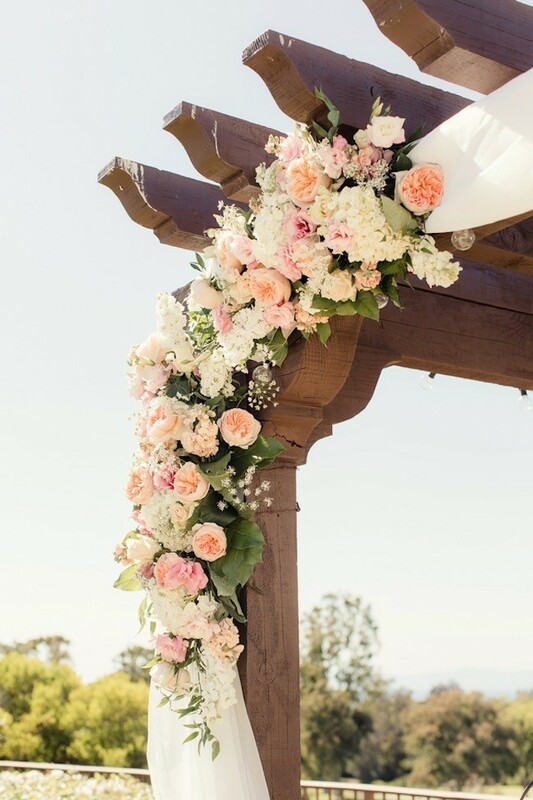 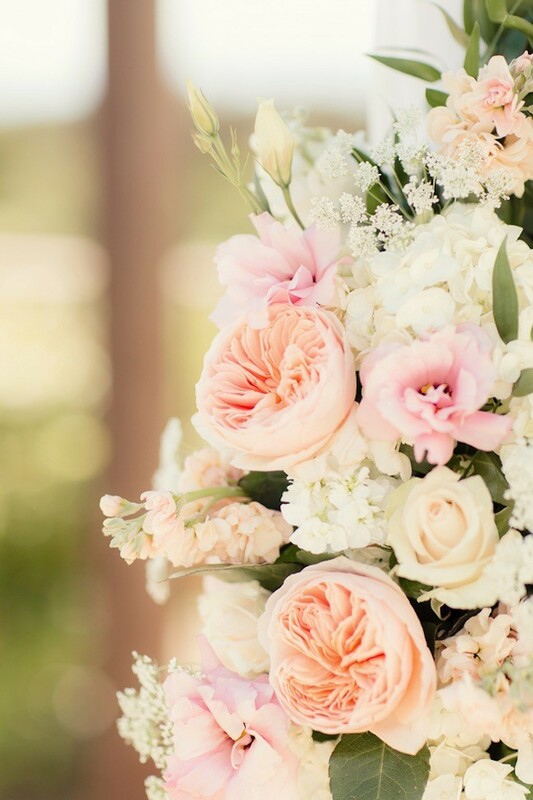 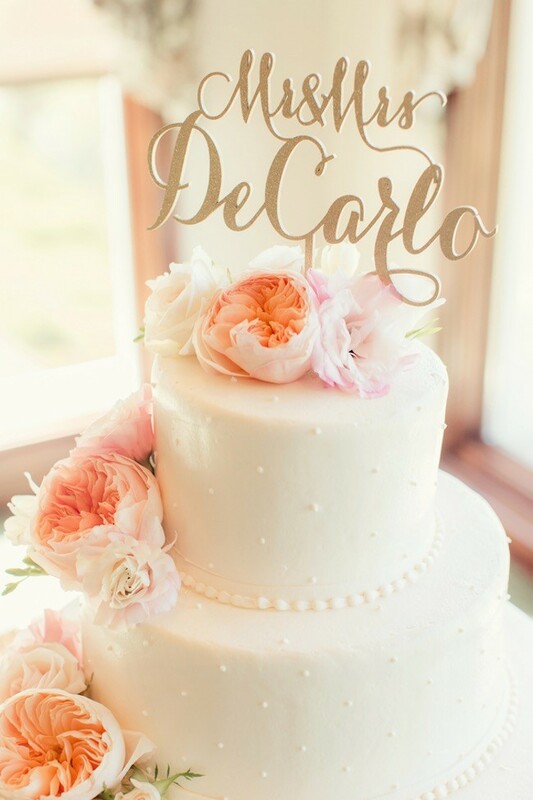 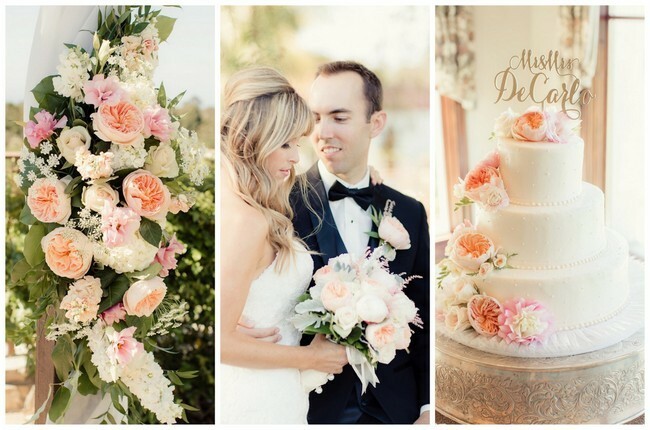 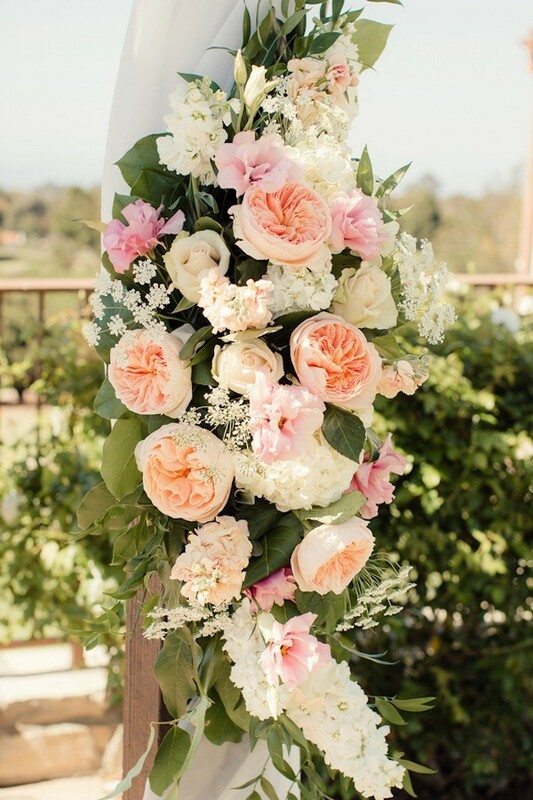 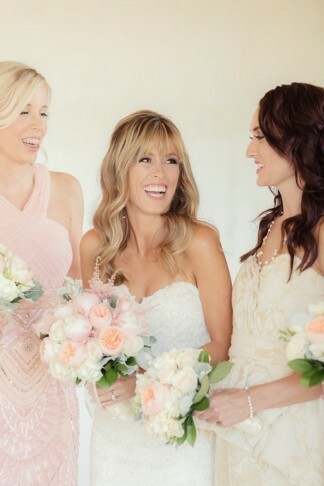 A cascade of peach and pink blooms byPalos Verdes Florist complimented their gold, tan, peach, light pink color palette. 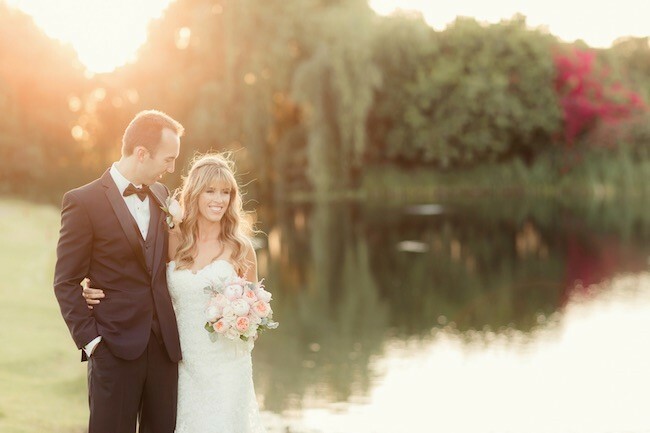 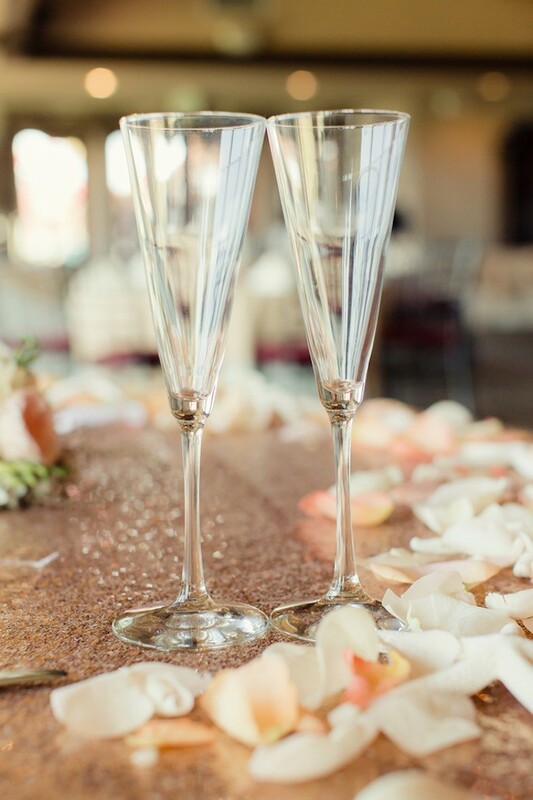 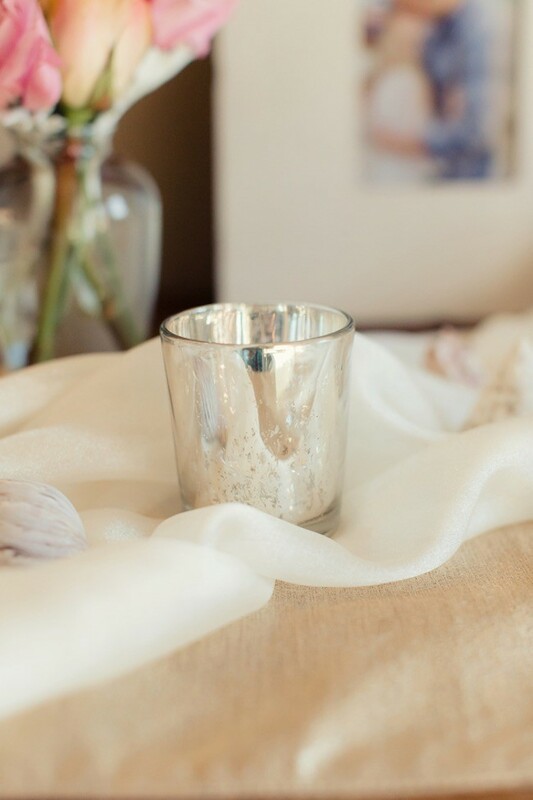 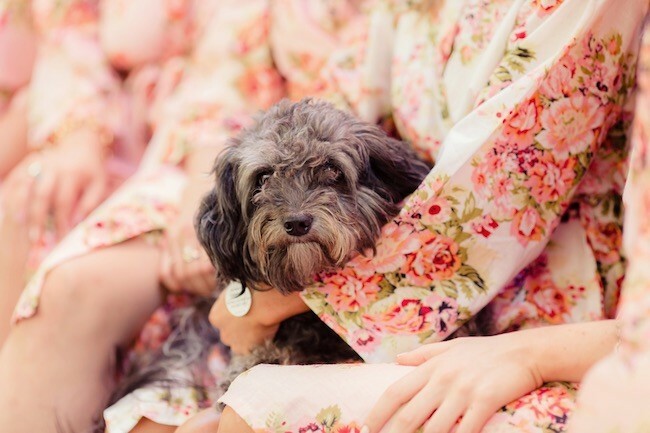 And these dreamy images by Figlewicz Photography are nothing short of eye candy. 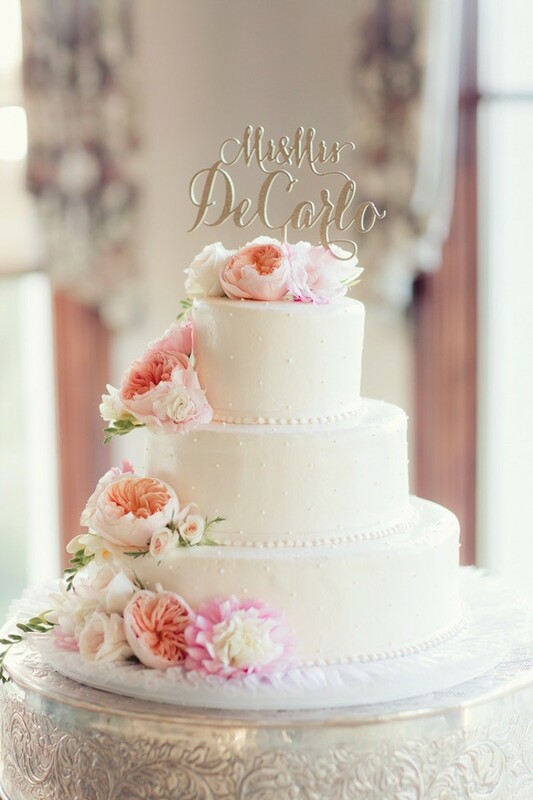 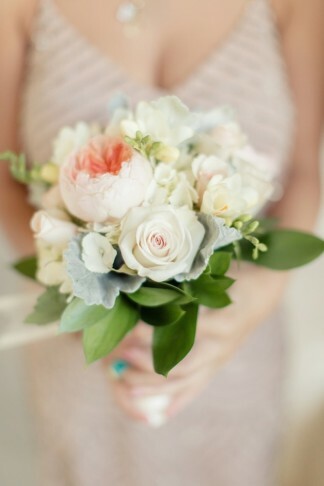 With a lovely couple, a gorgefest location, swoonworthy Maggie Sottero gown, peonies, cabbage roses and details a plenty, you’ll be well advised to get your pinterest finger warmed up for a marathon session! 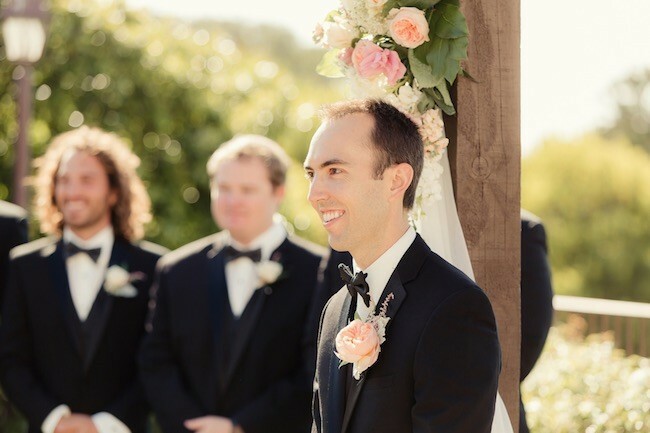 Love Story: John and I dated for about three years before he proposed. 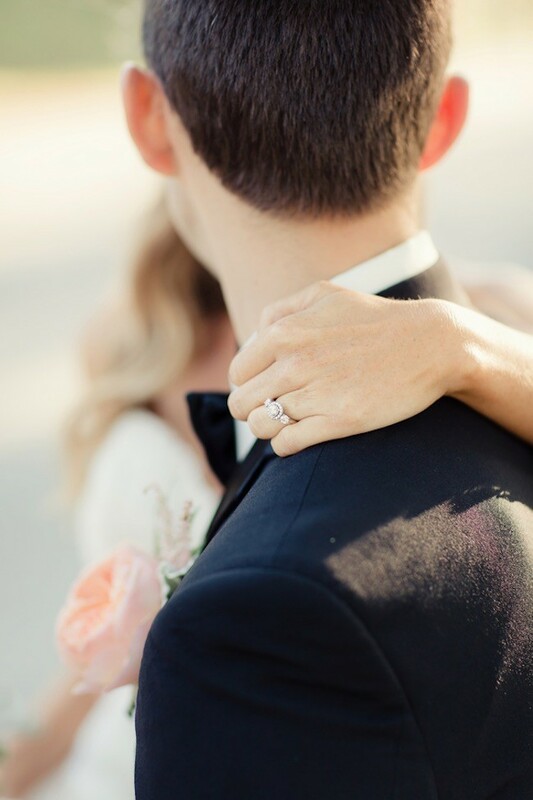 I fell in love with his kind heart. 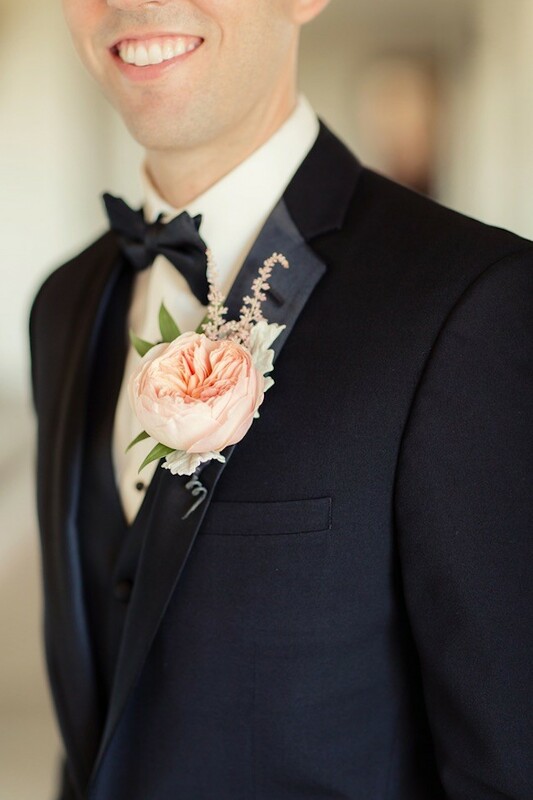 I knew shortly into dating him that he was the one. 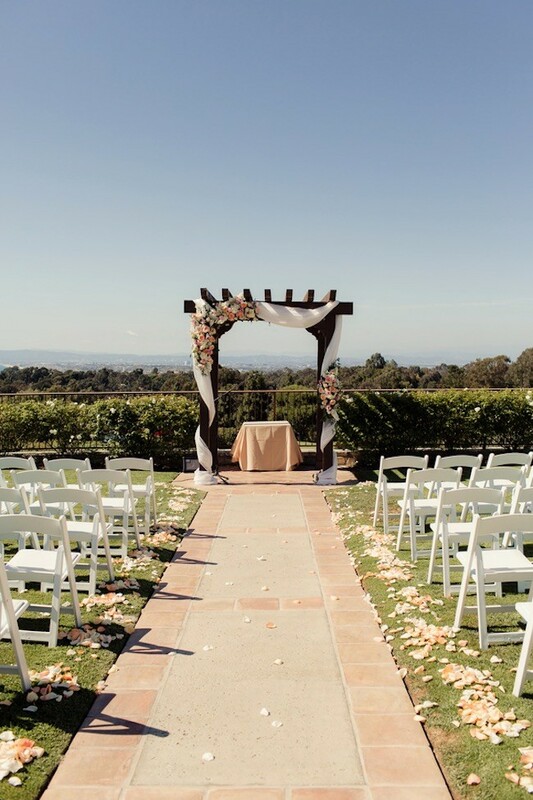 He proposed on an overlook in Palos Verdes where we like to go hiking. 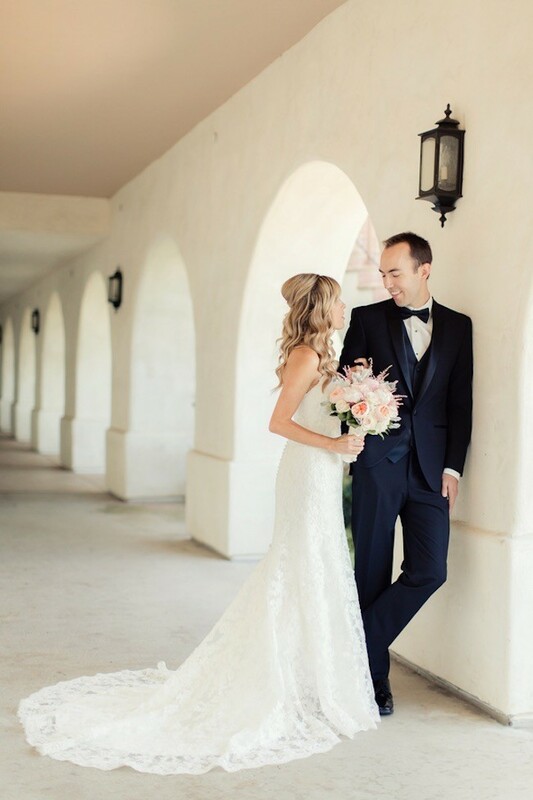 Shortly after the proposal in December we tied the knot in July. 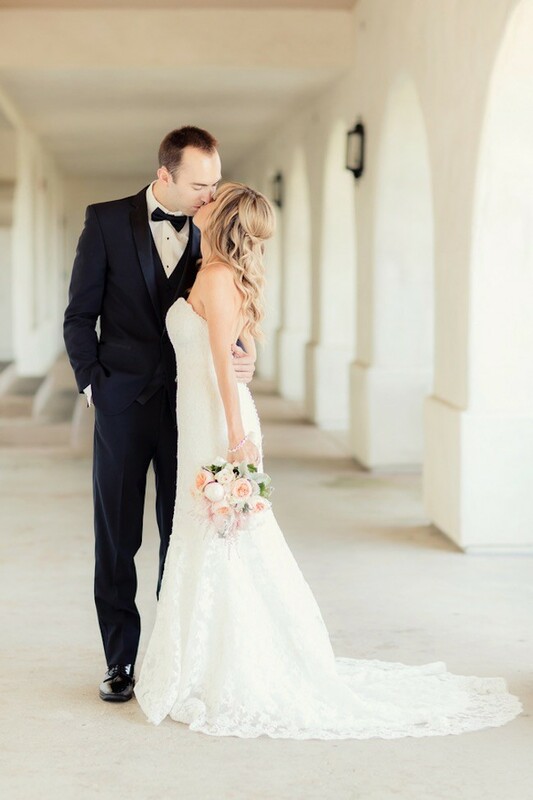 Bridal Style: I wore a strapless, mermaid: fell in love with the train and the beautiful lace. 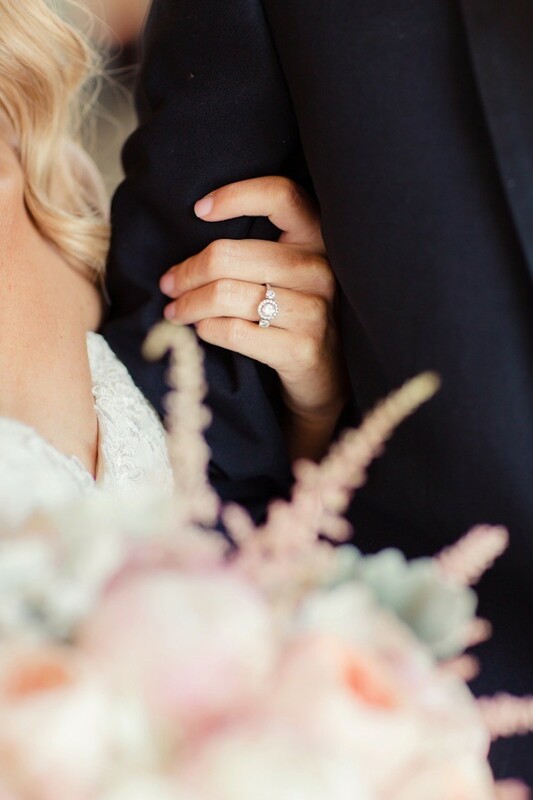 It didn’t take me too long to decide on it: two weeks maybe. 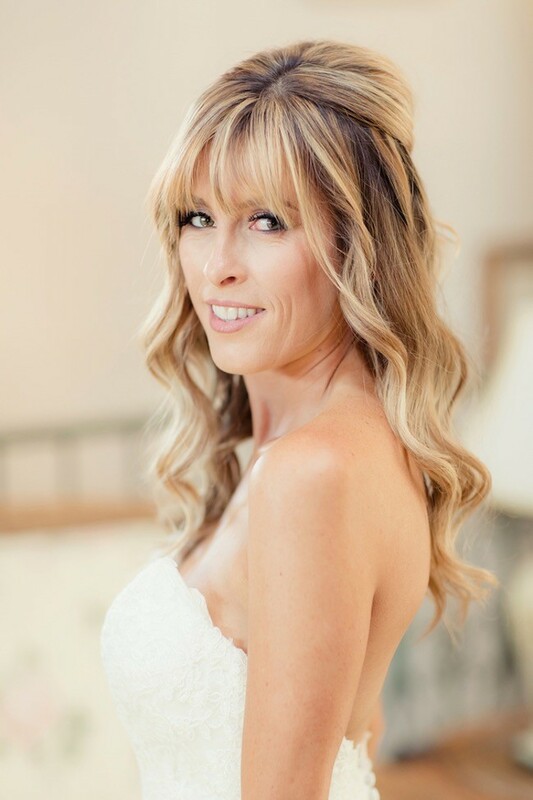 I wanted a smoky natural eye and Brigitte Bardot hair. 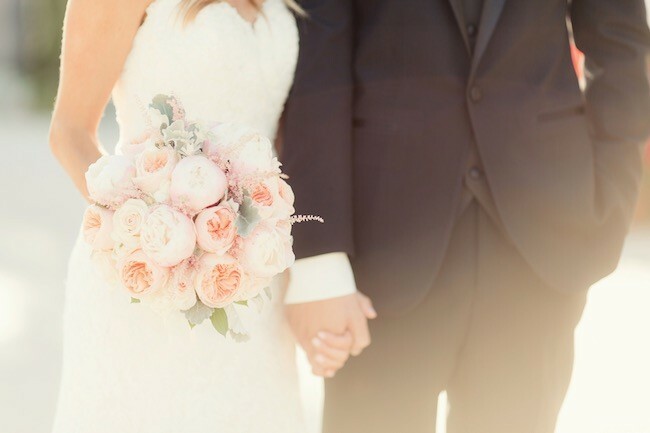 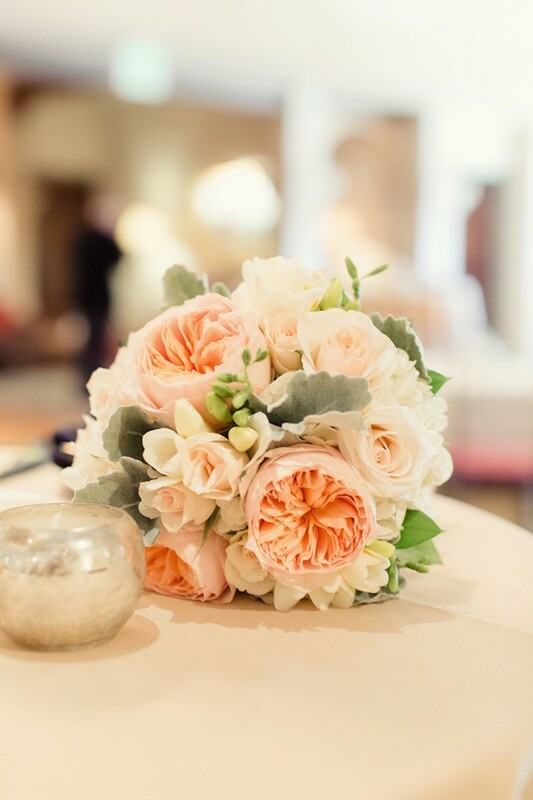 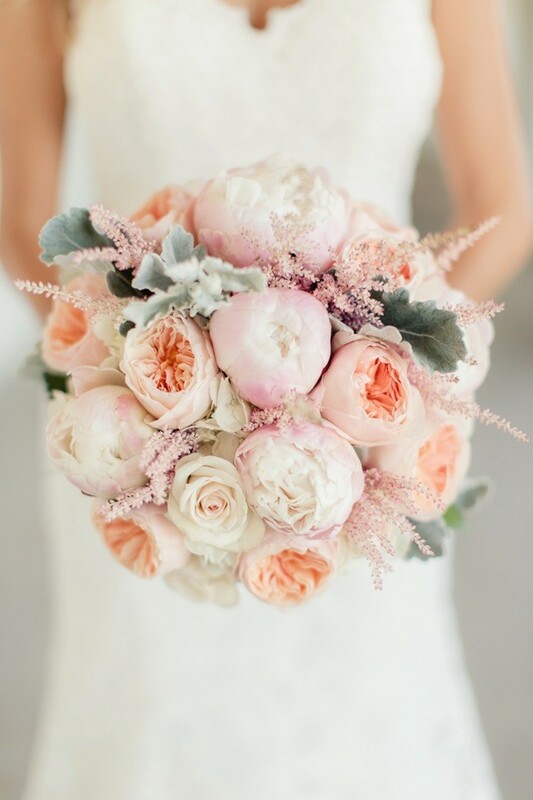 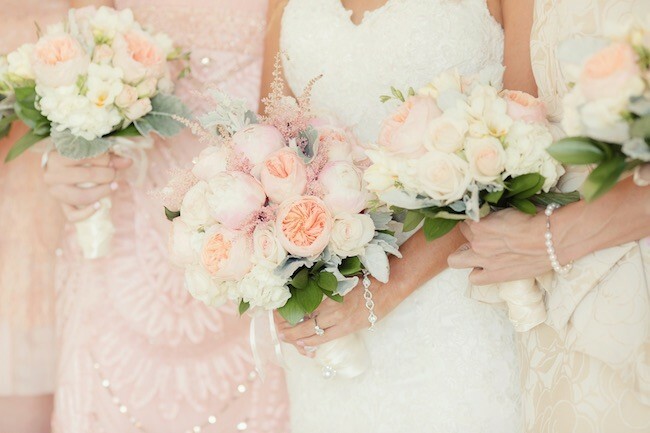 My bouquet used the color palette of soft pink peonies, colors: light pink, peach. 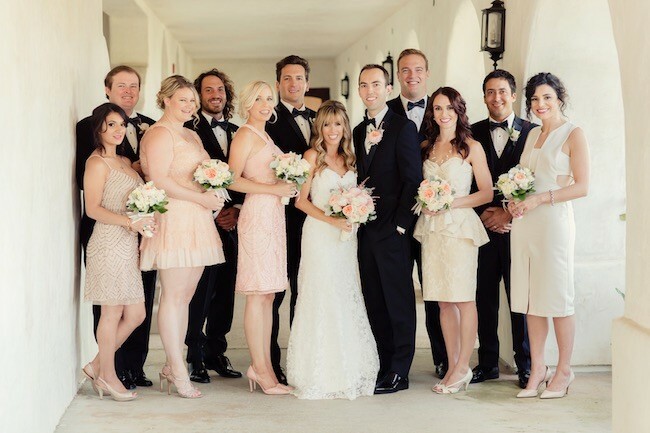 Bridal Party: Our bridesmaids wore different dresses and colors. 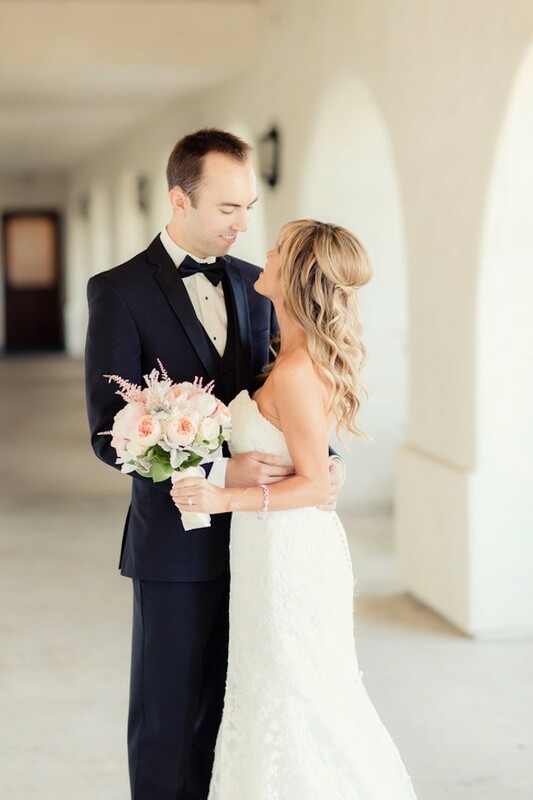 ( I wasn’t picky) I told them a color and they chose their own dress. 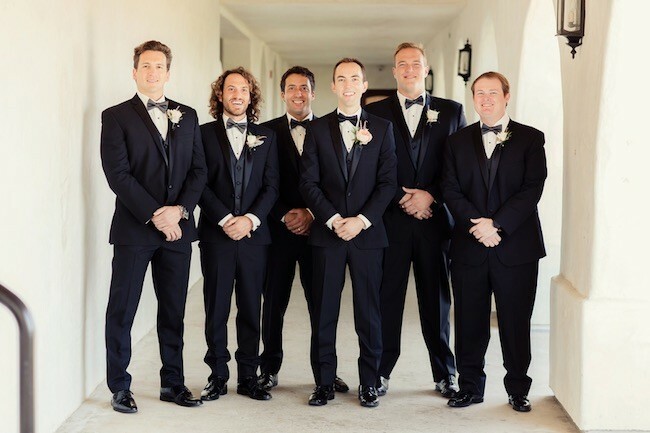 Surprisingly it all came together for the big day. 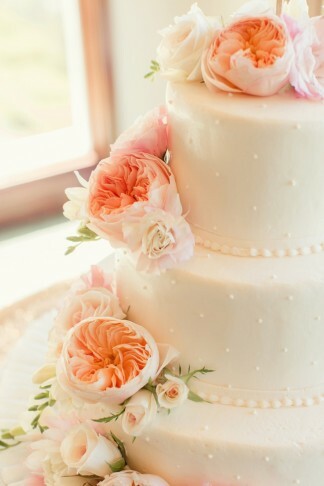 Went with the vintage/ soft color palette. 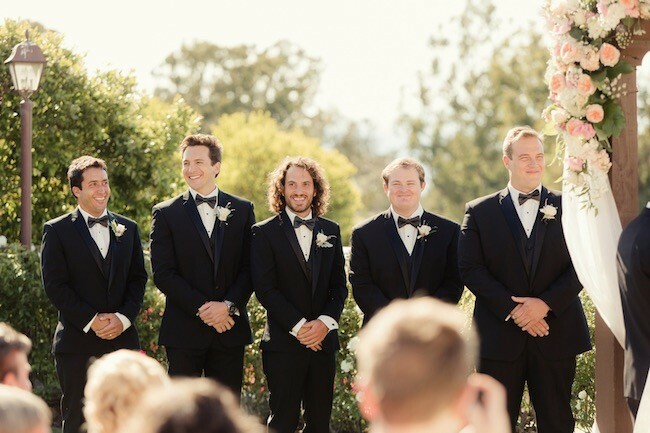 Groomsmen wore classic black tuxedos. 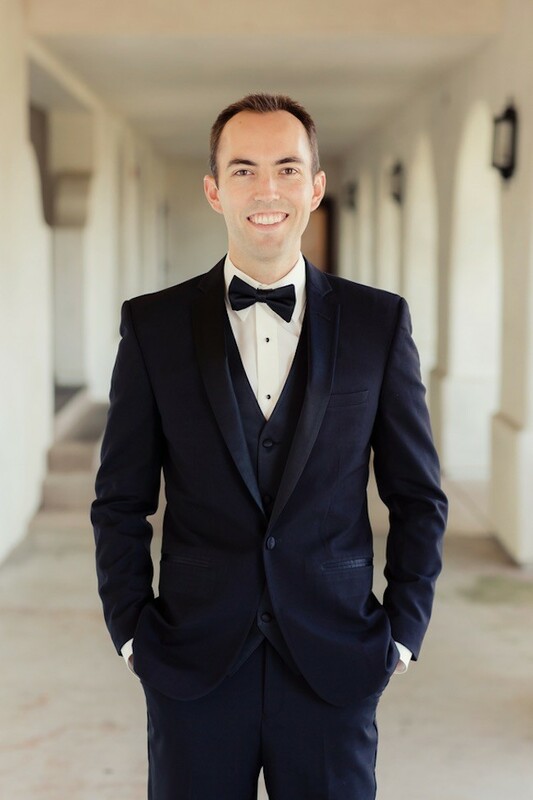 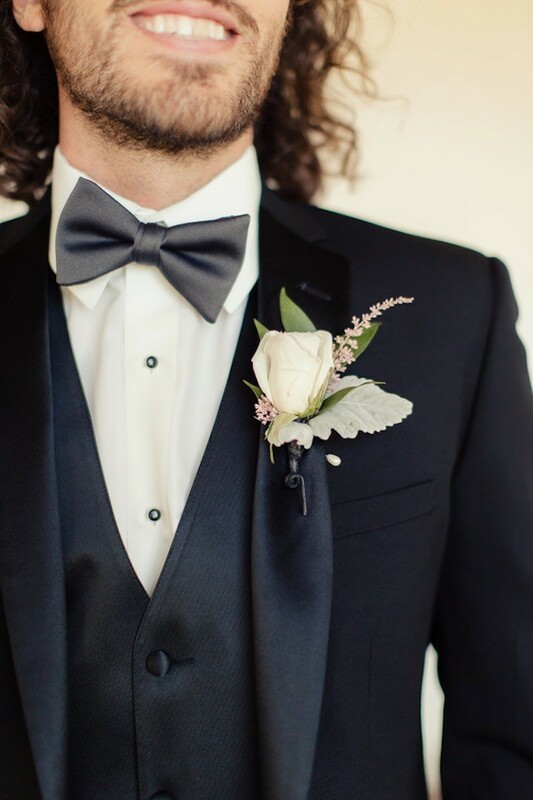 Groom Style: Classic black tuxedo with vest. 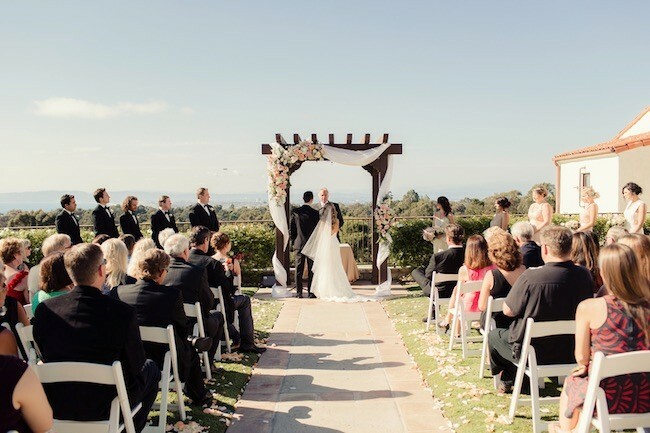 Wedding Ceremony: We wanted our ceremony very traditional. 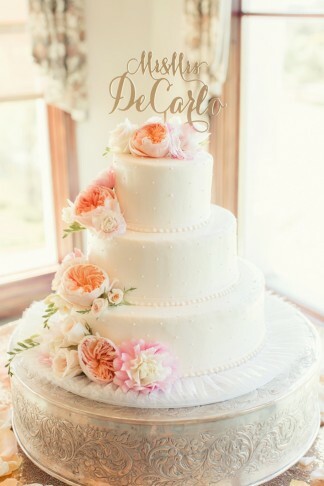 We wanted to incorporate our faith but also make it unique to us. 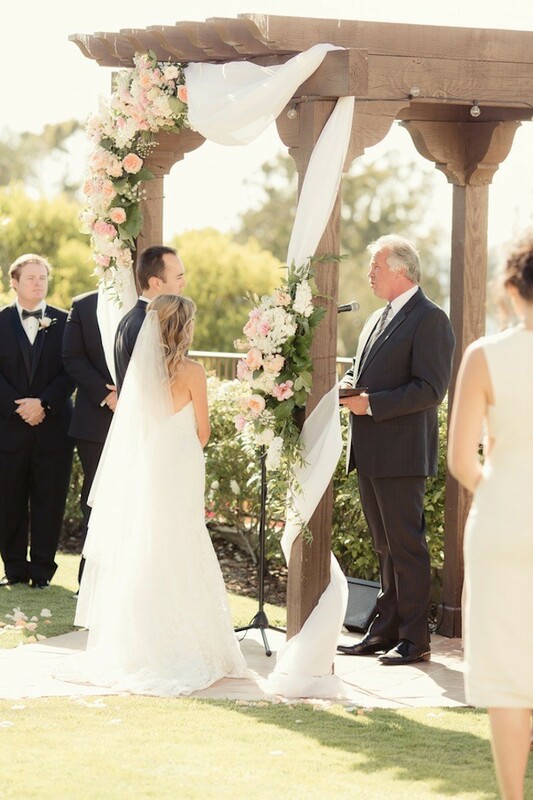 We had a pastor perform the ceremony as well as we also partook in a sand ceremony. 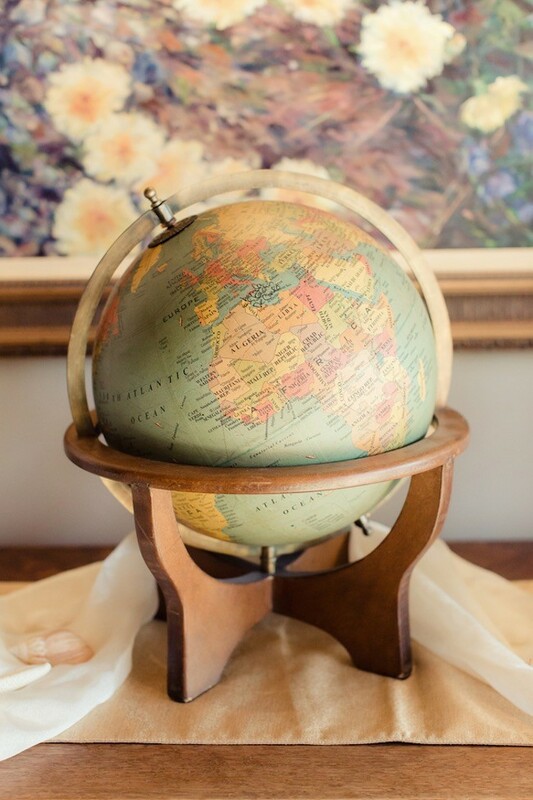 Guest Book and Seating Chart: We used a globe for the wedding guestbook and framed easel for seating chart. 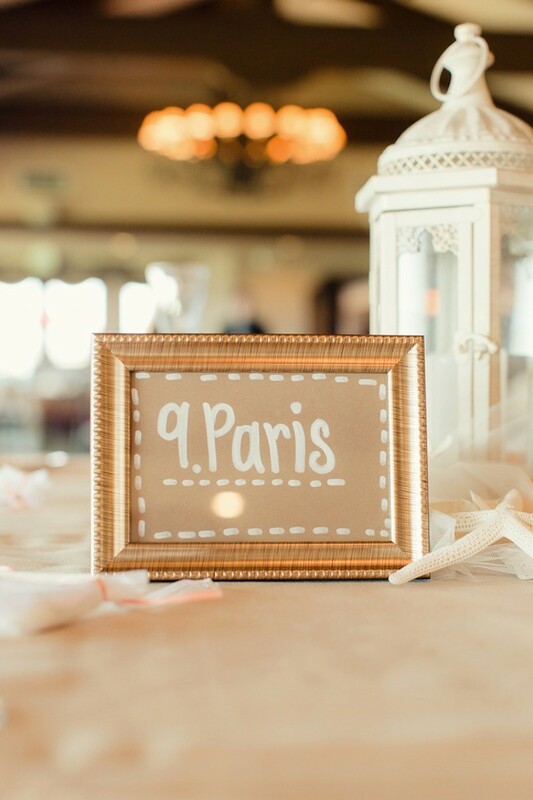 The names of the tables were our favorite places we travelled to together. 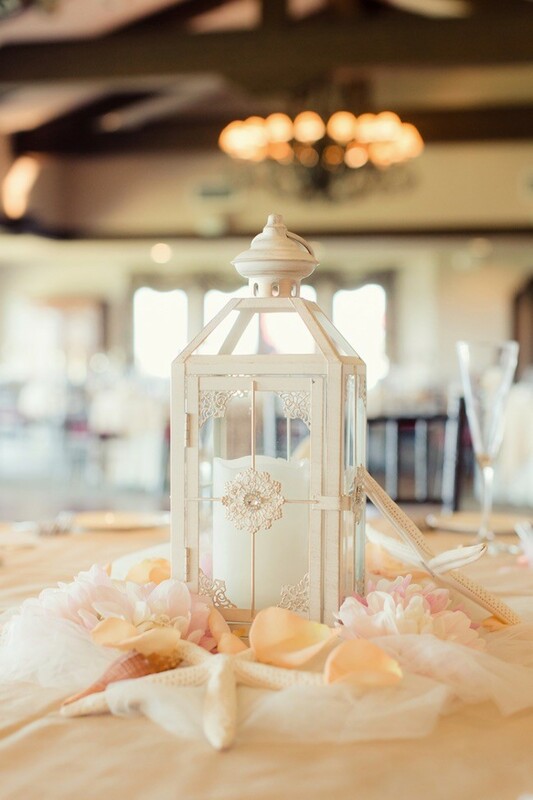 Wedding Reception Details: Table decor was simple as the wedding venue was very elaborate. 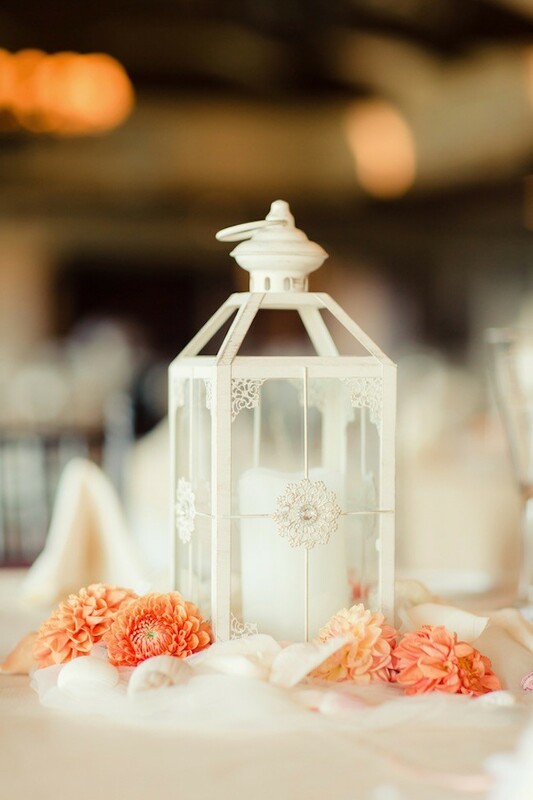 We did off-white lanterns in center with scattered rose petals in peach and pink. 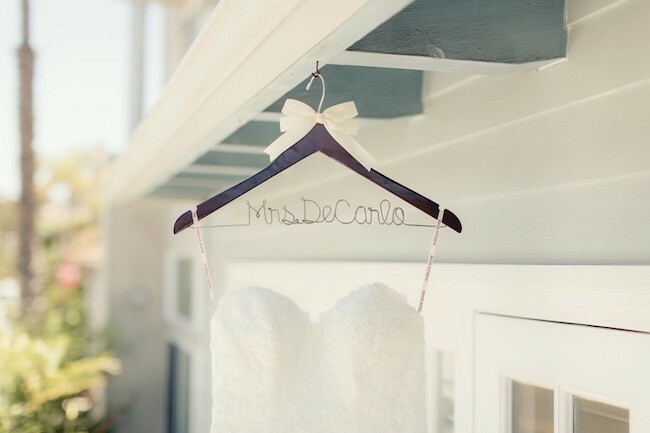 Don’t over do it and stress. 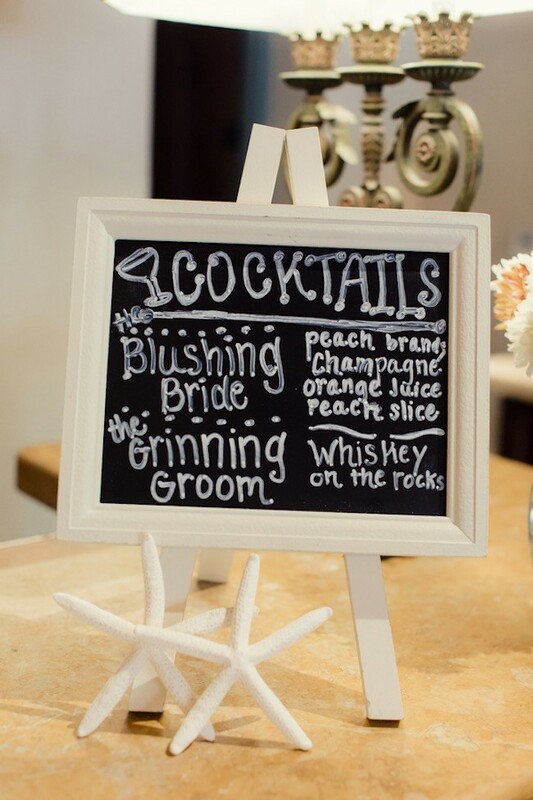 When the big day comes I could have cared less what signage and decor I made. 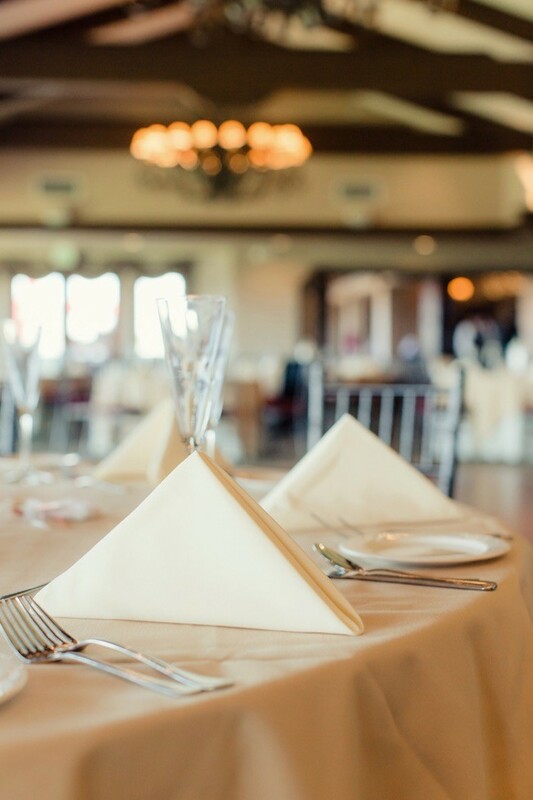 What you remember is the family and friends there and having yourself a good time… Take off your shoes and dance. 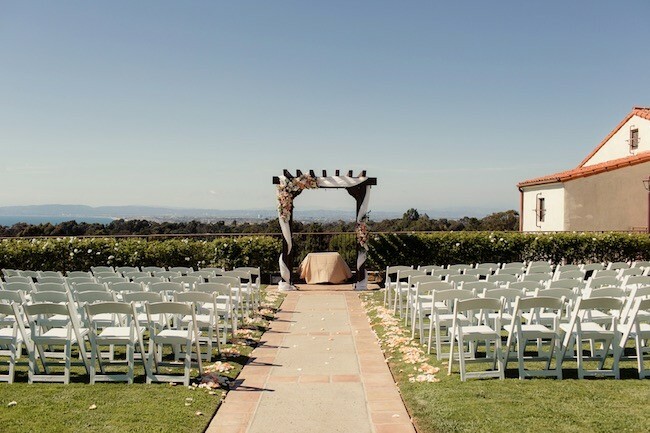 Look at what your venue includes. 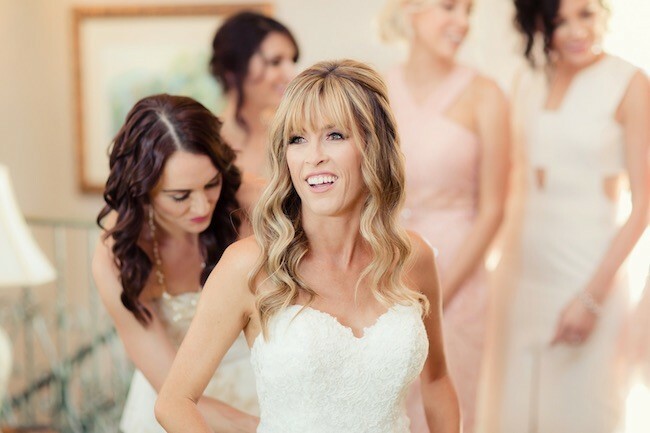 Spend money on a good photographer as they are so important in capturing the day. 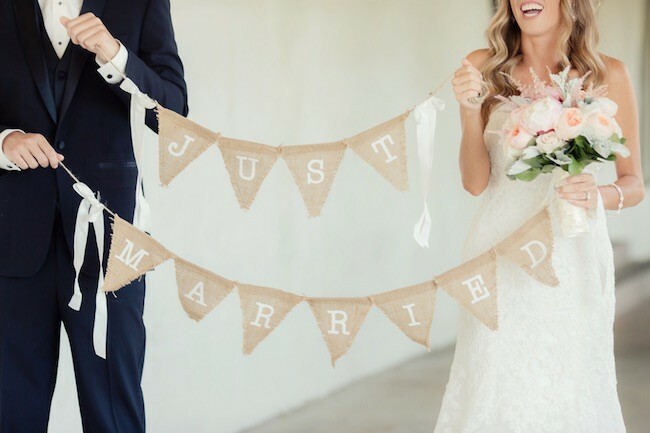 18 Totally LIT Newly-Wed Honeymoon Shirts for Epic Honeymoon Vibes! 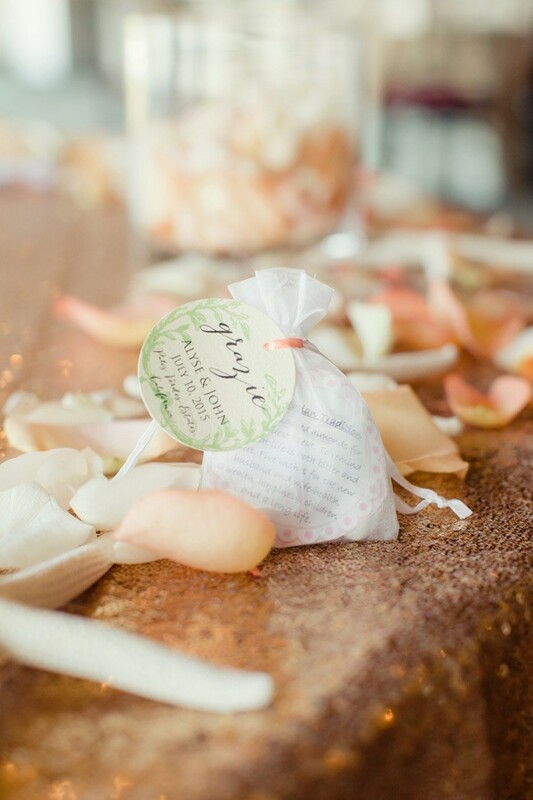 20+ Totally Adorbs Bridesmaids Gifts: Ideas To Spoil Your Girls! 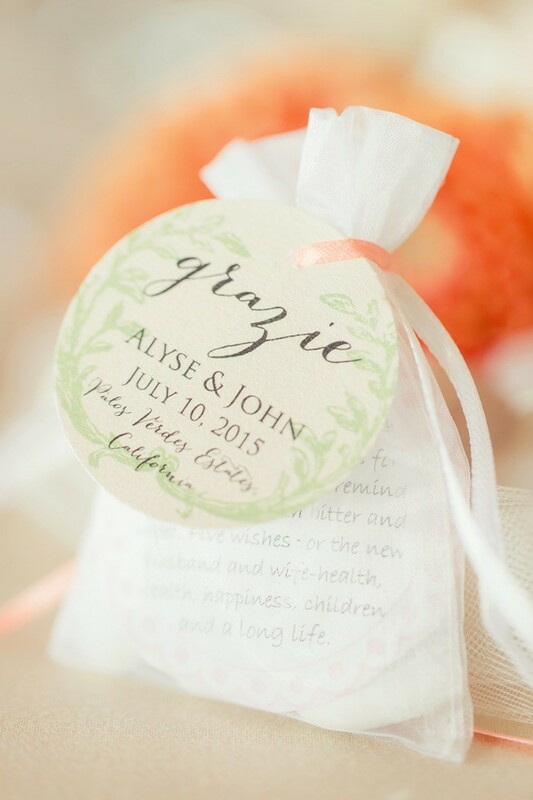 22 Engagement Party Invitations to ‘Say Yes’ to!